The philosophy behind Molly and Murphy All Natural Irish Horse & Dog Biscuits is simple- nothing is too good for our four legged friends.The mass produced, chemically preserved, imported treats that include ingredients I can not decipher and find unappetizing are no longer acceptable options as healthy rewards. With this in mind, I decided to bake a homemade, healthy and hearty, gourmet biscuit worthy of Molly and Murphy. I have always enjoyed the creative process but I had minimal baking experience so I took on this challenge like I would an extravagant Super Bowl Ad. I sketched out ideas, researched ingredients and tapped into my Scotch-Irish heritage for inspiration. After numerous trials and countless batches, I created a delicious, aromatic biscuit in a size, texture and quality that Molly and Murphy were delighted with. Our lip-smacking, tail wagging Irish Dog Biscuits are homemade from premium all natural and organic ingredients like rolled Irish Oats, organic rosemary, parsley, whole wheat, and cinnamon and baked daily to ensure freshness and satisfaction. We never use any chemical preservatives, animal by-products or genetically manufactured organisms (GMO) in our biscuits and we personally test each batch for texture, taste and quality. Yes- we eat them too! At the urging of a loyal dog biscuit customer I decided to create a tail wagging, hoof stomping Irish biscuit for the horses and ponies. Some of those same ingredients including exciting new ones like peppermint and molasses are added to our Horse Biscuits. After sampling these new and exciting biscuits in South Britain, Connecticut, I found myself selling them at Horse shows where I stumbled upon the perfect marriage of the dog and horses community. 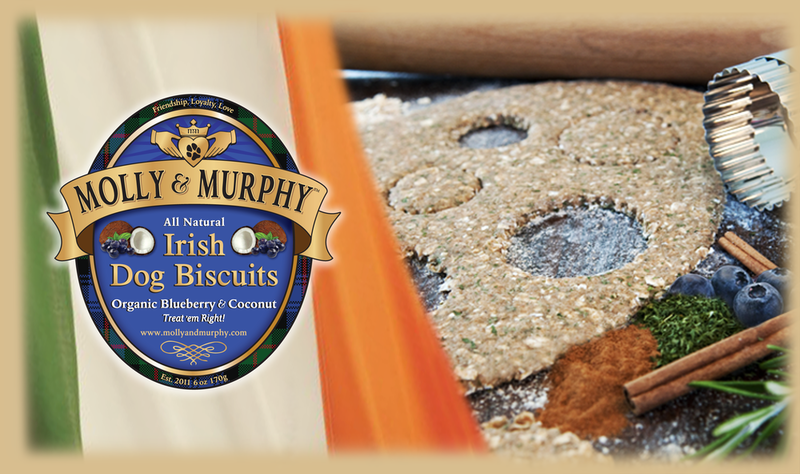 I am happy to announce that Molly and Murphy All Natural Irish Dog Biscuit are available in Peanut Butter and Bacon, Guinness Stout, Organic Coconut and Blueberry, Organic Pumpkin and Carrot, Apple Cinnamon, Peppermint and Parsley, Peanut Butter and Carob and Wheat FREE-Gluten FREE. Horse biscuits are currently available in Carrot, Apple and Guinness Stout. We are always looking for new and interesting flavors so if you have an idea for our next biscuit please email us with your great ideas. Treat 'em right! There has always been a dog(s) in my life. When I was six months old my parents brought home our first dog. She was a beautiful English Sheep Dog that my older brothers named after the Ashepoo river that flows between beaufort and Charleston South Carolina. I can still remember playing in the yard with Ashepoo and then Ashepoo II. 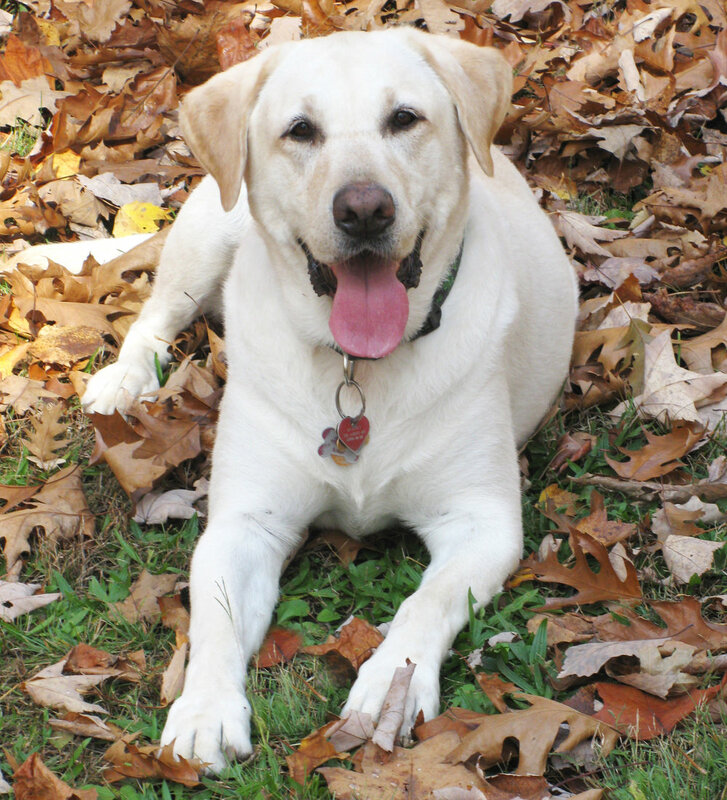 After that, there was McCaber and Winston (Bearded Collies), Calley (Welsh Springer Spaniel) and when I rented my first apartment, I had my first Yellow Lab: Jackson. These were all amazing dogs but then Murphy entered my life and I soon rescued Molly and they became the best of friends. I had no idea their friendship, loyalty and love would inspire me to venture out of a design career and create a “biscuit” business but as I look back on my life It is obvious that I have been groomed to do just that.